Situated by the ocean, this spa villa is within a 15-minute walk of Blue Lagoon Beach and Padangbai Pier. Bias Tugal Beach is 0.9 mi (1.5 km) away. Nestled on the beach, this Padangbai hotel is within a 10-minute walk of Padang Bay Beach and Blue Lagoon Beach. Bias Tugal Beach and Padangbai Pier are also within 15 minutes. Situated near the beach, this inn is within a 15-minute walk of Padangbai Pier and Blue Lagoon Beach. Padang Bay Beach and Bias Tugal Beach are also within 10 minutes. 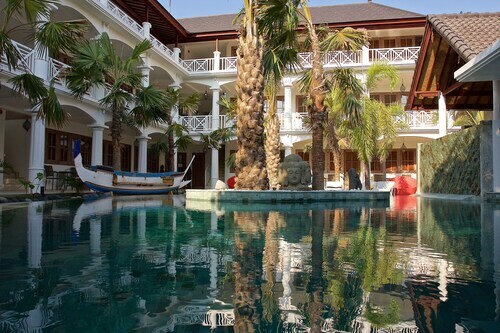 Situated near the beach, this hotel is steps from Padang Bay Beach and Blue Lagoon Beach. Padangbai Pier and Bias Tugal Beach are also within 1 mi (2 km). Padangbai is a great location to check out, with a good little selection of hotels. There are 8 located less than 5 kilometres from the centre of the city. You won't be too far away from the main streets at the Alila Manggis and Bloo Lagoon Village. There are few spots more peaceful than the beautifully designed interiors of a temple. Take some time to relax at Silayukti Temple. Two convenient hotel options near this attraction include Mimba Villa R&R and OK Divers Resort & Spa. If you find yourself in need of more options in Padangbai, consider the Viceroy Bali and the Four Seasons Resort Bali at Sayan. They are located 25 kilometres and 30 kilometres away from the city's main streets. 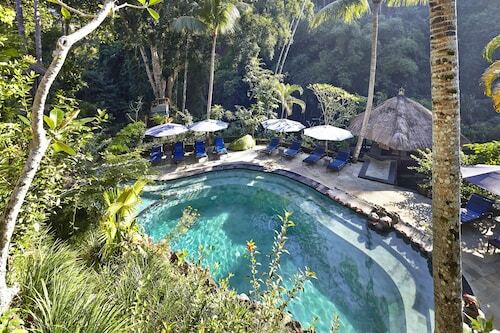 Further alternatives are the Chedi Club Tanah Gajah, Ubud, 25 kilometres away, and the Villa Amrita, 30 kilometres. If you'd like to check out some nearby cities, try Subagan and Jasri. Travel 13 kilometres to the northeast from Padangbai and you'll locate Subagan. Alternatively, Jasri is 14 kilometres to the northeast. 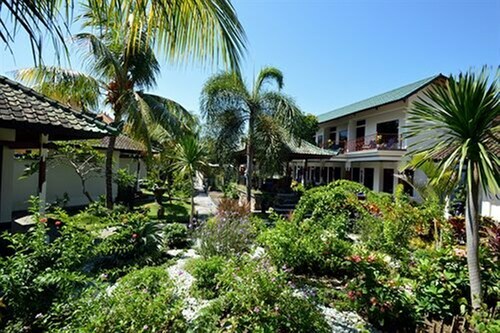 Subagan accommodations include the Villa Flow and The Watergarden. The Puri Bagus Candidasa Villas and Discovery Candidasa Cottages & Villas are some of the choices in Jasri. Ngurah Rai International Airport is the most convenient airport for arriving in Padangbai and is 45 kilometres from the heart of town. 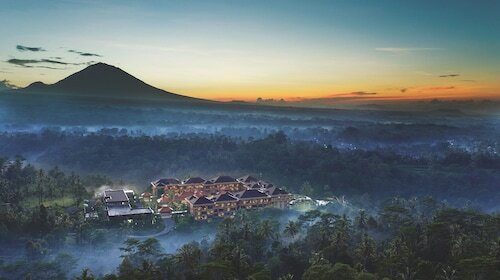 If you would like to stay nearby, try the Four Seasons Resort Bali at Jimbaran Bay or the Temple Hill Residence Villa. How Much is a Hotel Room in Padangbai? Hotels in Padangbai start at AU$34 per night. Prices and availability subject to change. Additional terms may apply. 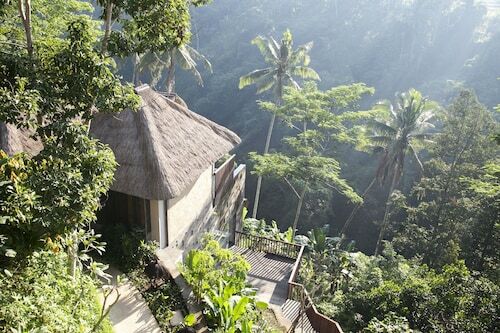 We absolutely loved Padma resort Ubud! We travelled with our 18 month old daughter and we couldn’t fault the facilities and services. As our daughter still had her usual day naps so we couldn’t participate in the day activities (which was a shame because there’s so much to explore!) but we did enjoy our time swimming in the pool and admiring the beautiful view. Even though our daughter is too young to stay on her own at kids club, we still spent lots of time in there for her to play and interact with other kids which she loved! The staff were super friendly to her wherever we went in the resort. We can’t wait to come back!! Highly recommend to stay here!! Well worth the travel and money!